Boys' Life Magazine Only $5.99/Year! You are here: Home / Coupons and Deals / Boys’ Life Magazine Only $5.99/Year! 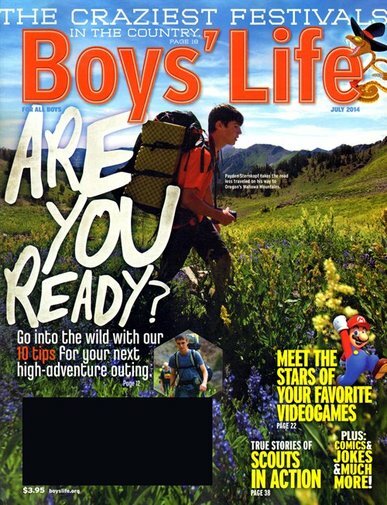 Boys’ Life Magazine Only $5.99/Year! Looking for clean and fun reading material for the young men in your life? Through 2/10/16, you can subscribe to Boys’ Life Magazine for only $5.99 per year (83% off)! You can order up to 3 years at this price! No coupon code necessary. The magazine for boys ages 9 to 17, Boys’ Life Magazine is an entertaining purchase for any young reader. Each issue focuses on a different theme, ranging from scouting, sports, and racing, to travel, computers, and stories of American Indians. Other topics covered include hobbies, science, electronics, education and careers. Boys’ Life Magazine also publishes quality fiction stories, comics, fun facts, jokes, letters, and stories sent in by readers. Click here to see the full Boys’ Life Magazine deal!